Hello, my dear friends! It is with a happy heart that I jump into May, and for many reasons. There is so much potential and energy in this month. Can you feel it? The first hints of summer are starting to tickle the senses. I can’t help but feel a bit like a kid again, yearning to be released from school and into the freedom of summer. May is also an exciting month for me because my husband Jon is finally graduating from law school! After three long, tough years, that rock star of a man is walking away with a law degree. He’ll have to take the Bar exam later this summer, of course, so he’s not entirely done. But he’s hitting a huge milestone by wrapping up law school! I’m so freaking proud of him. Besides my hubby’s achievements, May marks an achievement for me, too. 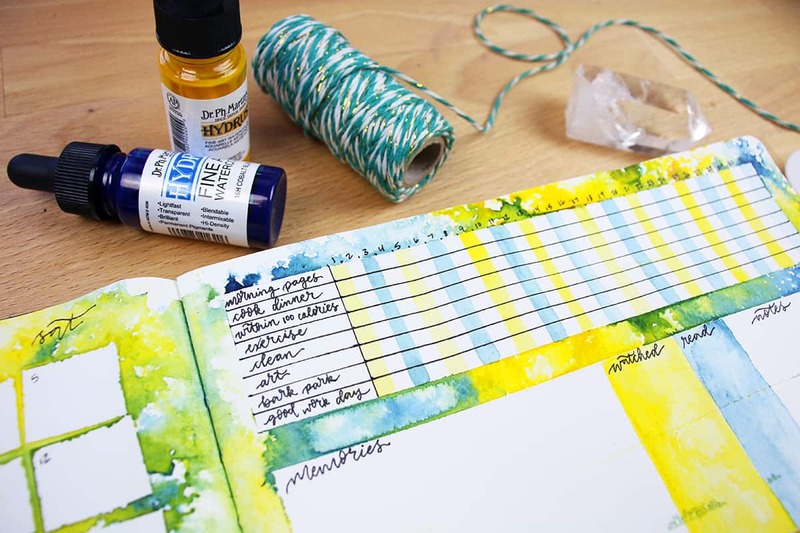 I started my watercolor planner way back in October of 2017 (remember A Month in Color?). Now, after many months of working with this strange and sometimes tricky new planner, I have wrapped up my first full planner! April marked my final month, and I get to crack open a fresh new journal for my May Monthly Set Up. 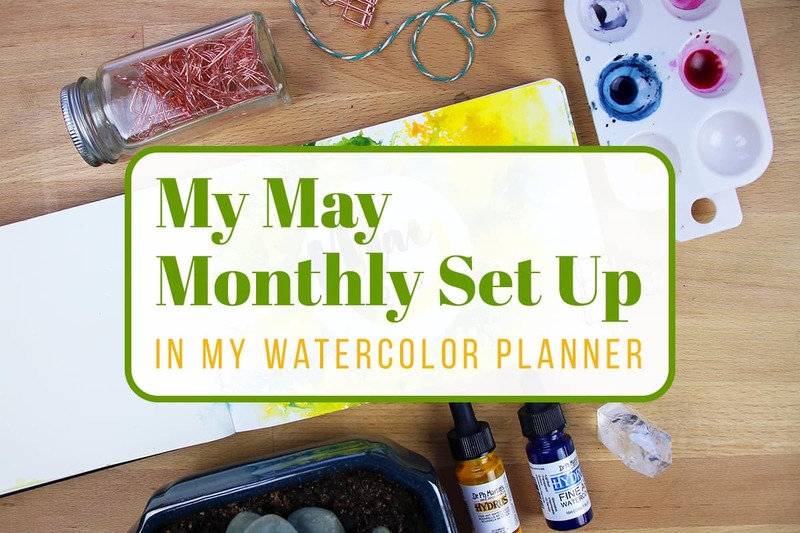 As you can see from the video above, my May monthly set up was a watery wild ride! I used a simple and vibrant technique that relies on the unpredictability of water. I explain the process in more detail in the video, but it’s basically just inviting chaos onto the page to create this super cool effect. Anyone with a spray bottle can do this, no skill required! My only advice is to keep lots of paper towels on hand. 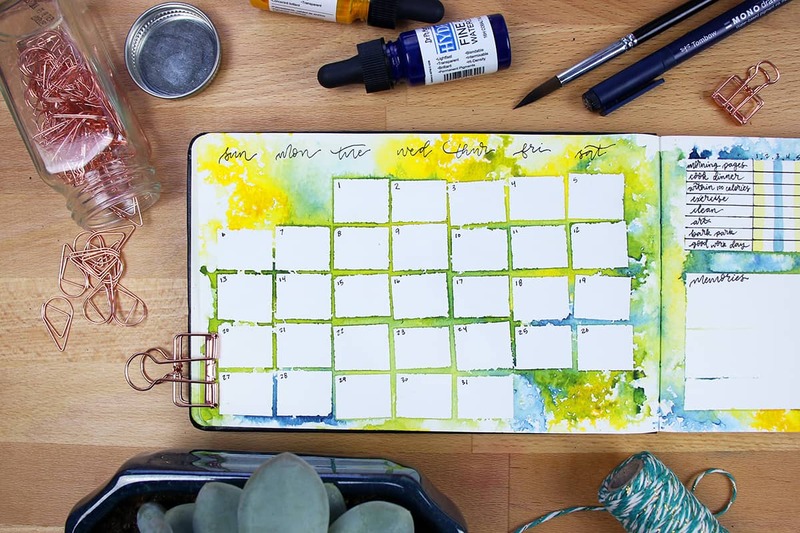 Besides this dynamic watercolor technique, the rest of my May monthly set up is mostly the same as it has been. 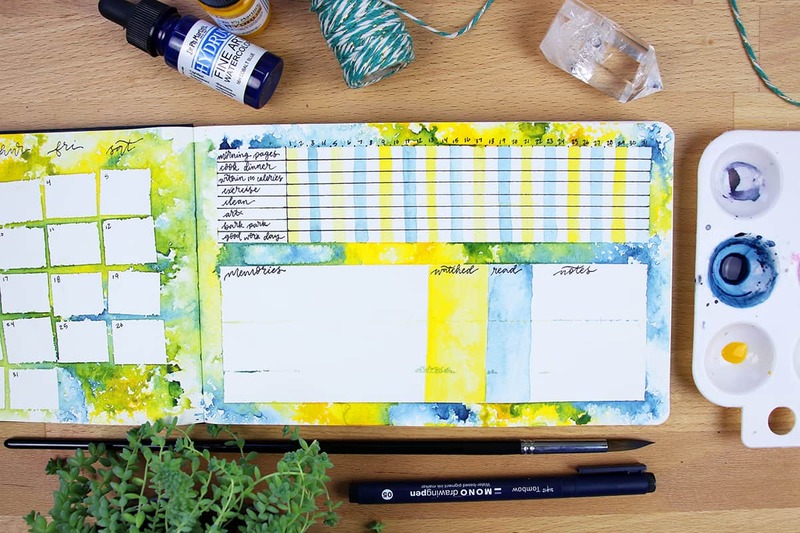 I’m not making any notable changes to my calendar set up, memories section, or habit tracker. This simple layout has been serving me well, and I’m not in any rush to change it! After birthdays, anniversaries, deadlines, and surprise business trips, I’m happy that April has brought us to May’s doorstep. I’m more than ready to absorb the warm sunshine and embody the emotions of May. It won’t be too long before Jon is graduated and we begin a whole new chapter of our lives together. 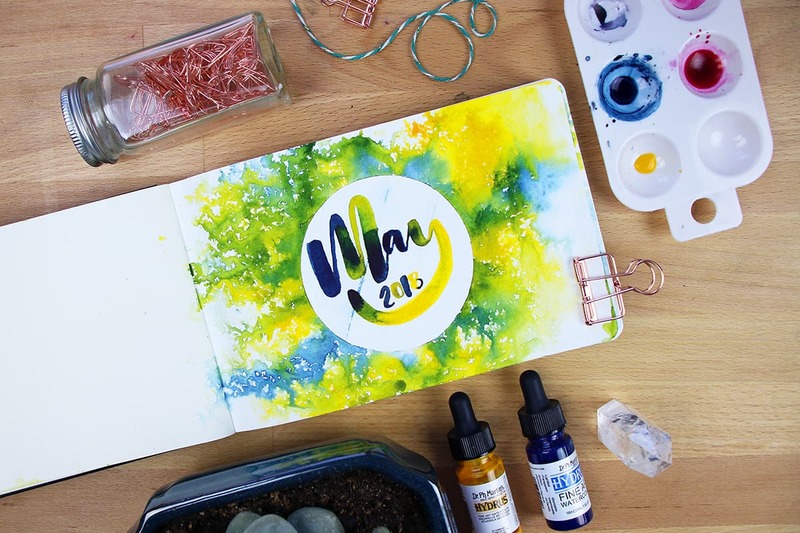 Hopefully, this month will bring new adventures, exciting new creative projects, and much more into my life – and yours, too! Enjoy this month, and don’t forget to take time to yourself and have some fun. I know I will! Can you please do a video explaining how you set up and cut the masking tape that you used on pages like this? I have no idea how you got that circle or even a rectangle cut out so perfectly. Also, thank you for your amazing tutorials. Thanks to you I now watercolor and it brings me so much joy.